Young Drivers…For ANY new driver, ANY age. Learn from the best trained and patient instructors who will provide you with clear and articulate instruction. 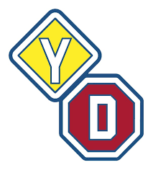 Only YD offers our exclusive Habits and Sub-Habits that teach YD students the skills they need to stay collision free. Our Classroom Sessions include YD Videos and theory with certified, experienced and knowledgeable instructors. The total classroom time is 25 hours. ***CogniFit, an on-line program, provides a state-of-the-art cognitive assessment and training program that will help you become a safer driver, help your memory as well as help you pass your road test. Young Drivers includes a FREE online training program for the Co-Drivers who will help the new driver stay in control while practicing. The videos included will provide a helpful review for your new driver. With course completion the YOUNG DRIVERS program is accepted by the Insurance Bureau of Canada to allow an experience endorsement to reduce premiums. Our YD program is a recognized approved course to shorten the waiting time for road test and no further courses will be required to exit all the phases of the graduated licence system after the required waiting periods. Note: After attending the first day of classroom and you have a Learner’s License you may be able to begin in-car lessons. Call for details. 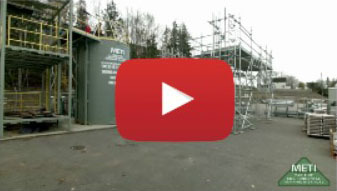 For a customized Payment Plan – please contact the office. Oh! And we have convenient pick up spots according to your needs and location. Call us for more details.